Description Thermal strutted architectural grade projected window with historic, blast mitigation, hurricane resistant, acoustical, and security/vandal screen capabilities. Mulls to 3-1/2" frame depth products. Description Thermal strutted architectural grade fixed window with historic, blast mitigation, hurricane resistant, acoustical, and security/vandal screen capabilities. Mulls to 3-1/2" frame depth products. Description An extremely versatile architectural grade projected window with historic, blast mitigation, hurricane resistant, acoustical, and security/vandal screen capabilities. Mulls to 3-1/2" frame depth products. Description An extremely versatile architectural grade fixed window with historic, blast mitigation, hurricane resistant, acoustical, and security/vandal screen capabilities. Mulls to 3-1/2" frame depth products. Description Thermal strutted architectural grade casement window with historic, blast mitigation, hurricane resistant, acoustical, and security/vandal screen capabilities. Mulls to 3-1/2" frame depth products. 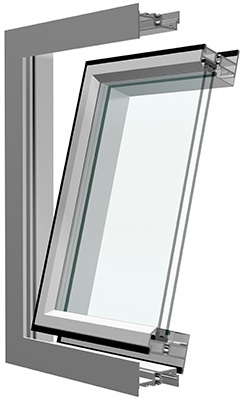 Description An extremely versatile architectural grade casement window with historic, blast mitigation, hurricane resistant, acoustical, and security/vandal screen capabilities. Mulls to 3-1/2" frame depth products.